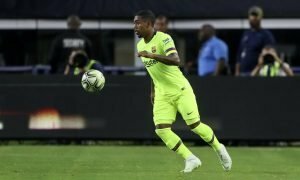 Arsenal revive interest in European star striker | The Transfer Tavern | Where football transfer rumours fly or die! 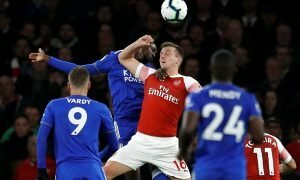 Arsenal fans in the Transfer Tavern have been in a celebratory mood this week after they progressed to the knockout stages of the Champions League and rose to the top of the Premier League with victory over Aston Villa. They gathered in the sofa area this morning to watch the draw for the knockout stages, whilst they discussed the latest transfer activity regarding their club to pass the time. One particular story concerned a new striking arrival, as Talksport state the Gunners have revived their interest in Dynamo Moscow’s striker Aleksandr Kokorin. It’s stated that Arsenal are locked in negotiations with the Russian club, who want £4.3m for the 24-year-old, with a deal likely to be agreed within the next month. Arsenal have Olivier Giroud in spectacular form recently, with the Frenchman netting 11 goals in his last 13 matches, but Arsene Wenger wants more competition with Theo Walcott just returning from injury and Danny Welbeck yet to play this season. Gooners, how important is it that you sign a striker in January? Let us know in the comments below!